Most of us are aware about cosmetic and plastic surgery which these days have become very common. With developments in the field of cosmetic surgery, cosmetic procedures are becoming more non-invasive as well as shorter in duration. Now many cosmetic surgeries in India are considered to be ‘lunch- time’ procedures. Today, cosmetic surgery has various sub- specialties which deal with the surgery of various specific body parts. One such sub-specialty of cosmetic surgery is cosmetic oculoplastic surgery. Cosmetic oculoplastic surgery is also known by various other names such as ocular facial plastic surgery and ophthalmic plastic surgery. The main aim of cosmetic oculoplastic surgery is the restoration and reconstruction of the ocular structure which may have lost its symmetry or aesthetics due to some reason. The ocular structure includes the eyelids, eyebrows and the lacrimal system. The ocular structure is very delicate and may require cosmetic oculoplastic surgery because of a number of reasons. Most common reasons for cosmetic oculoplastic surgery are trauma to the orbit, tumors in the ocular area, ptosis etc. Cosmetic oculoplastic surgery may also be required after infection or inflammation which may cause problems in the tissues. Many people might have some doubts about the requirement of a super- specialist to perform cosmetic oculoplastic surgery. Though many surgeons perform plastic surgery on various body parts including the face, however, the ocular structure is extremely complex and intricate. Therefore, it requires the precision of a specialist surgeon who knows plastic surgery as well as is well versed with the anatomy of the ocular structure. Eyelid surgery is one of the main surgeries that cosmetic oculoplastic surgeons perform in India. The muscles which keep the eyelids uptight loosen with age as the amount of fat decreases in the skin which causes drooping. Cosmetic oculoplastic surgery can fix this condition. Cosmetic oculoplastic surgery which is done on the upper eyelids as well as the lower eyelids is known as blepharoplasty. Blepharoplasty is primarily done for removal of fat pockets which become prominent as a person ages. With age, the muscles of the eyes weaken and fat bags bulge outwards making a person look very old. A cosmetic blepharoplasty is a short procedure and can give more youthful looks in a very short time. Cosmetic oculoplastic surgery is also used for curing ptosis which can make the patient look sleepy or tired. Ptosis can be unilateral or bilateral. Ptosis can affect children as well as adults. The main target in a ptosis surgery is the levator muscle which is responsible for movement of the eyelids. The goal of ptosis surgery is advancement of the levator muscle thereby positioning it in the appropriate place. Cosmetic oculoplastic surgery also includes oculoplastic surgery of features near the ocular structures and is known as facial oculoplastic surgery. Facial oculoplastic surgery may include eyebrow lift which can be performed along with the blepharoplasty surgery. Sometimes facial oculoplastic procedures may also involve use of Botox. Botox is a very popular method for diminishing fine lines which occur at the corner of the eyes. These fine wrinkles are commonly known as crow’s feet. Botox is directly injected at the site in controlled doses which causes the muscles to relax thereby reducing the appearance of crow’s feet around the eyes. Botox is an extremely toxic substance and its use should be monitored by an experienced cosmetic oculoplastic surgeon only. People tend to confuse Botox with fillers. Fillers work by augmenting the facial feature in which they are injected while Botox temporarily paralyzes the muscles into which it is injected. In the realm of cosmetic oculoplastic surgery, fillers are used for curing dark circles under the eyes. These dark circles either appear to be brownish or dark purple in color. Cosmetic fillers like Juvaderm and Restylane can be used for brightening the under eye shadows. In addition to fillers, lower eyelid blepharoplasty can also correct the shadows under the eyes which may be present due to fat bags on the lower eyelids. Cosmetic oculoplastic surgery may be required for reconstruction after diseases such as cancer of the orbit or Grave’s disease. Cosmetic oculoplastic surgery may also be required in case of fractures which may cause displacement of bones which may have to be fixed with cosmetic oculoplastic surgery. Cosmetic oculoplastic surgery is also performed to reduce the prominence of bulging eyes in a patient by a procedure known as orbital decompression. Orbital decompression involves removal of orbital fat or walls to help in relieving the pressure in the eye socket. This helps in reducing the bulging of the eye which can ultimately be very detrimental for the vision of the patient. Generally, the eyes bulge out due to a disease known as Grave’s disease. Orbital decompression is generally the gold standard in treating the Grave’s disease. Cosmetic oculoplastic surgery is still in its growing phase in India. Even some of the best hospitals in India, do not have dedicated cosmetic oculoplastic departments. One of the top reasons for this is that cosmetic oculoplastic surgery is very rare super- specialty and not many doctors in India are available for it. For a cosmetic oculoplastic surgery you should choose the best super- specialist and the top clinic. If you are looking for the best oculoplastic surgeon, then Mumbai should be your destination. 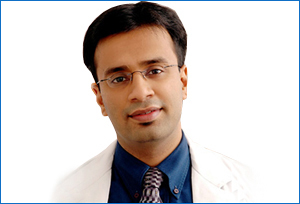 In Mumbai, the best oculoplastic, facial plastic and maxillofacial surgeon of India, Dr. Shome is based. He is the top super- specialist currently practicing in Mumbai with inarguably the best credentials in India. There only a few such oculoplastic surgeons in India who have such unique distinction for cosmetic oculoplastic surgery. One of them is Dr. Shome who has established his practice in Mumbai. With the help of technology, Dr. Shome has made it possible to provide virtual treatment from Mumbai to his patients who are in different corners of India. Oculoplastic surgery can be a very tricky procedure; you should only consider the top medical services and the best facilities in a hospital. If you live outside Mumbai, and want the best treatment, before you come to Mumbai you can take virtual consultation with Dr. Shome from Mumbai. He will guide you through the procedure from his Mumbai clinics giving you an insight on the procedure before you travel from far corners of India to get the best treatment from him in Mumbai. By amalgamating technology with medicine in India, he is ensuring that all patients from India can take the benefit of the top treatment without having to come to Mumbai. If after your consultation, you require any surgery you can come to Mumbai to meet Dr. Shome. Dr. Shome is indeed the best surgeon in Mumbai with his own chain of well- known specialty cosmetic clinics in Mumbai. If your condition requires surgery of ocular area, make sure you do your research about the hospitals in India. Not all medical institutions in India are equipped enough to handle specialty cases. Dr. Shome is a consultant to many top hospitals in Mumbai including the Breach candy hospital and Apollo Spectra hospital and also handles surgery cases at his clinics in Mumbai.